Date unknown. 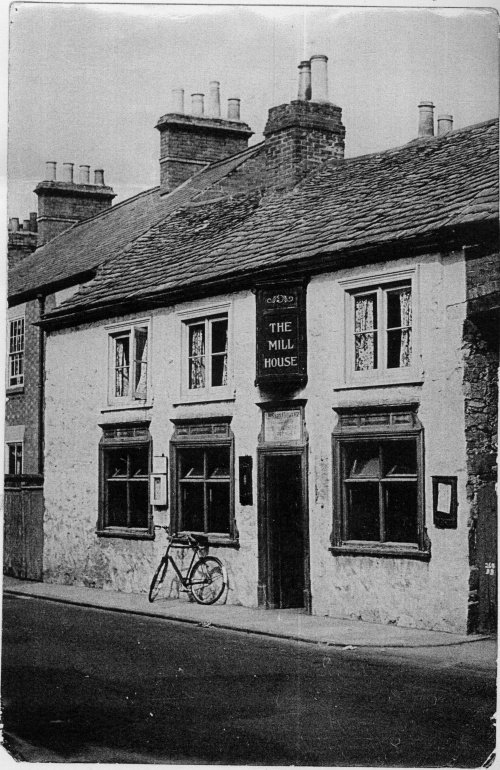 The pub took its name from the steam flour mill nearby built in 1853 on premises later occupied by Wright's Factory. To the right of the building is an archway and on the other side was another pub called the Crown and Cushion. In the 1920s the Mill House was used by Quorn Allotment Society as its headquarters.